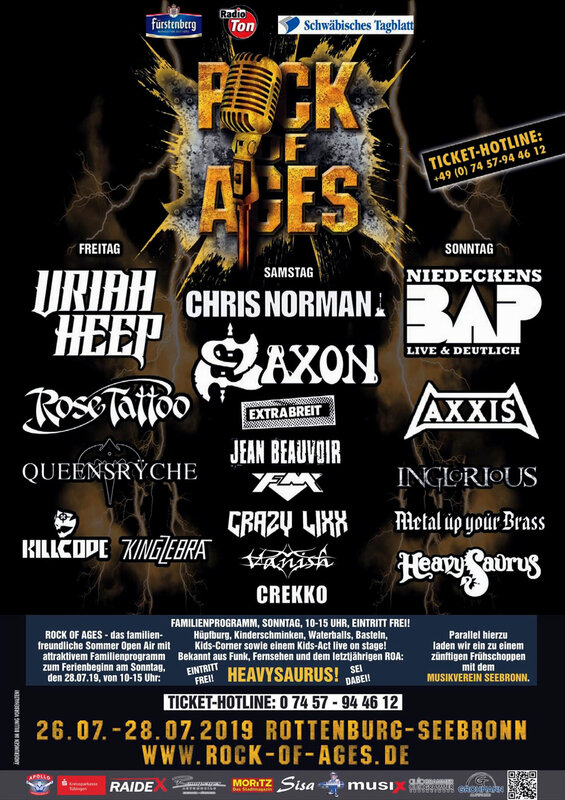 Once more, upcoming bands may profit from the cooperation between ROCK OF AGES festival and the SOULS OF ROCK FOUNDATION. 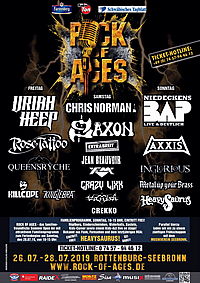 Together and as UNITED FORCES OF ROCK N ROLL we offer one promising band a stage slot at this year's ROCK OF AGES festival. You want to be part of it? Just check the conditions at https://soulsofrock-foundation.com/application_rock-of-ages/, please and fill in the webform until Aprll 21st. If your're picked, we'll provide you with a slot in our artist line up, while SOULS OF ROCK FOUNDATION will support you financially to make this appearance a very special one.